Detoxing organic herbs have been blended with our Organic Chinese Ti Kwan Yin Oolong for a refreshing, tasty and healthful tea. 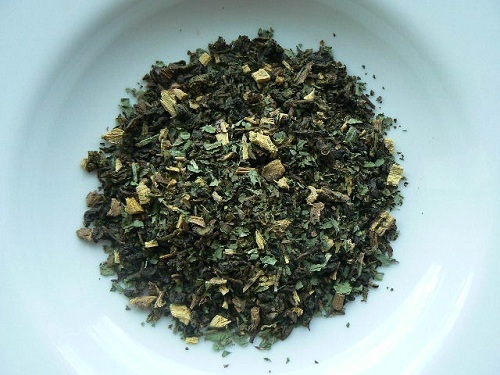 Great as iced tea or hot tea, this herbal fusion will cool you with mint and licorice root, and promote cleansing with dandelion leaves. Leaves your stomach feeling as good as this calming tea tastes!